Took forever to bloom this but better late than never. Large flower measures 6.5 cm x 6.5 cm. Now this just needs to put out more flowers. Better late than never! Great color and size, congrats Peter! Thanks Mike. I like the markings and flower size. Think that I will call this Phal Pylo's Passion Dream. Oh yeah! Nice one Peter. Totally worth the wait. And I bet the form fills out as well in coming blooms. Fragrant? One cool looking lip! Another great Pylo cross. that is an excellent result! This looks like another nice cross, but it did take a while to become blooming size didn't it? Never expected that out of that cross. I like it a lot. These are my hybrid Phal Hannover Passion x Joy Dreamy Jade. From same seed pod. I prefer the more colorful one on the right. 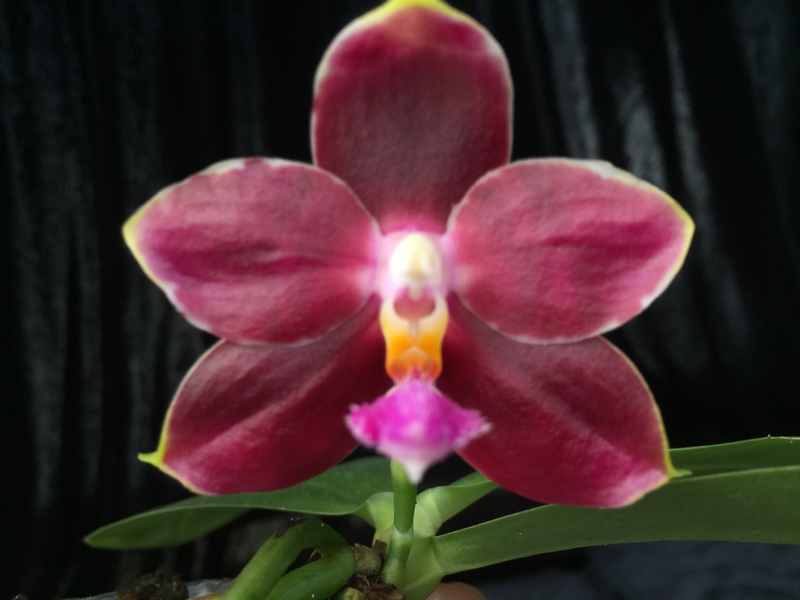 Larger flower and better form after Phal Gelbliber color usually don't come through. Eh, I find the one on the right boring as hell. Looks just like one of the other dozen complex amboinensis hybrids out there. The one on the left is pretty neat and unique looking. Sounds like you have a buyer Peter! another one managed to flower! It kind of remind me of Phal Yungho Princess Gelb but not as waxy.